Bet you didn’t know you could go there, did ya? I didn’t! 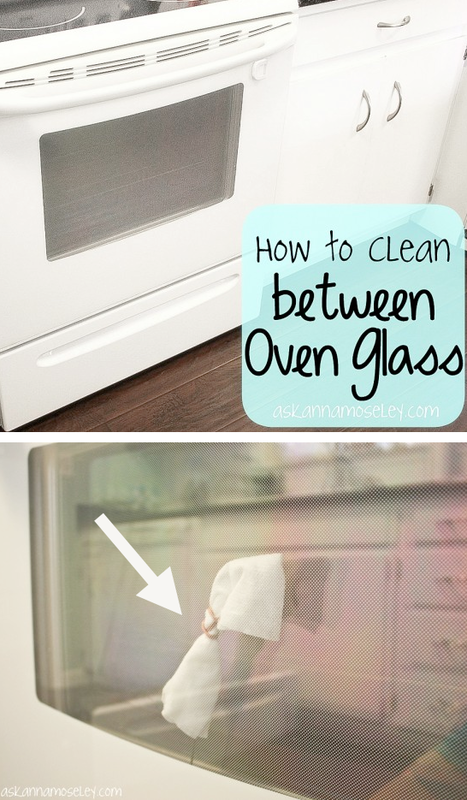 That double pane window on your oven somehow manages to collect grime over time, and it would seem impossible to even attempt to clean it, but it’s easier than you might think! Especially if you already happen to have a wire hanger, Windex wipes, and a few rubber bands handy. Why must ceramic manufacturers use the stickiest labels they can possibly find? WHY? I recently encountered this problem after I replaced all of my old dinnerware, and then spent 30 minutes trying (trying!) to remove the labels. 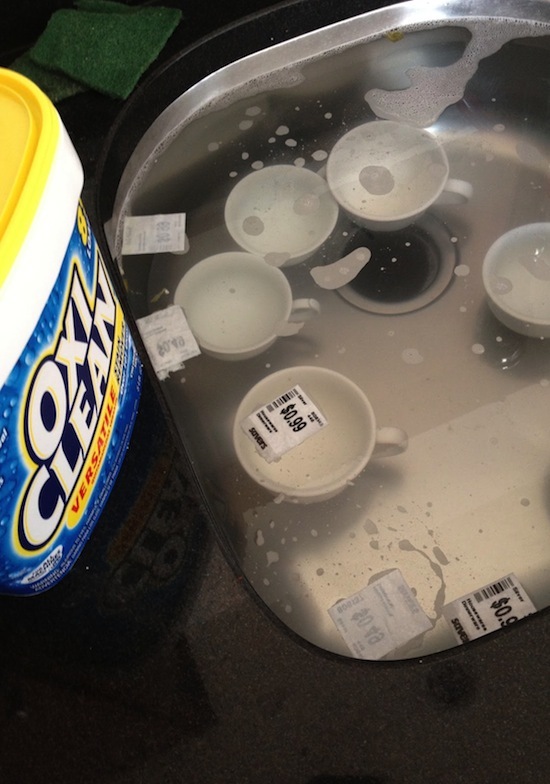 Next time, I’ll remove them the easy way with Oxi-Clean! Wish I had know this years ago. Salt? Yep! 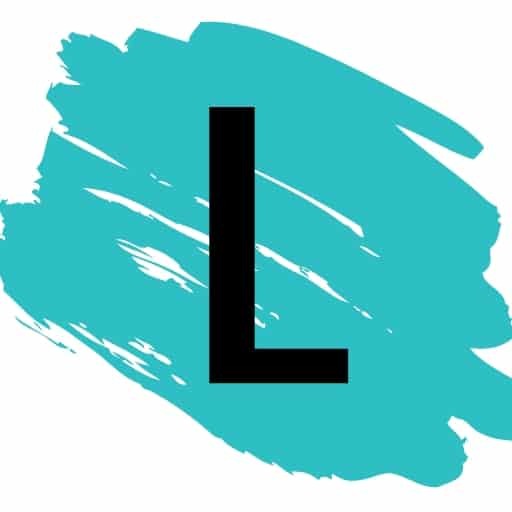 Pour salt on your ironing board (Perhaps cover with a pillow case or something to make clean up easier), and then iron the salt with the steam option off. 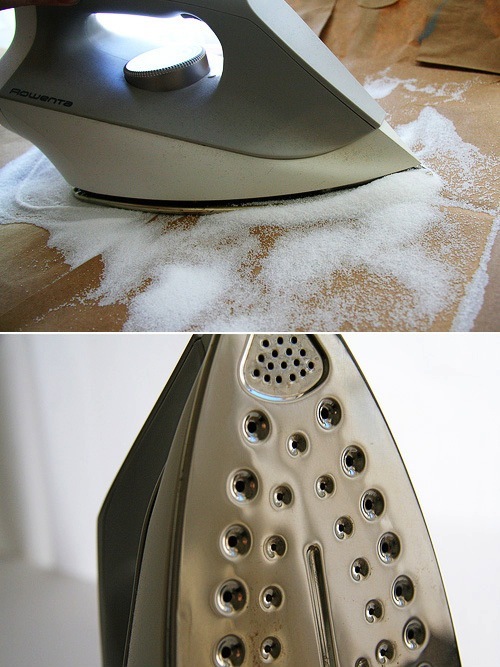 The dirt on your iron will stick to the salt, making for an easy clean! Get the full instructions here.